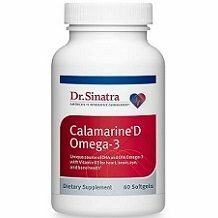 The following is our review of Dr. Sinatra Calamarine Omega-3. It is a dietary supplement aimed to support heart, brain, and eye health. This product is also supposed to promote healthy blood vessels, circulation, and blood viscosity. It should be able to promote a normal inflammatory response while also supporting vascular elasticity and health of your lungs, bowel, and skin. Continue reading for our full review. This product was formulated with these ingredients for heart, brain, eye, lungs, and bowel health. They are meant to promote healthy blood pressure, blood vessels, circulation, blood viscosity, and a normal inflammatory response. They should support normal platelet aggregation, vascular elasticity, endothelial function, and vascular tone. It is recommended to take 2 softgels once a day with a meal. This means that each bottle will last you 1 month. There were no possible side effects listed on the manufacturer’s website. It did say that pregnant or lactating women should consult a health care professional before taking this product. You should also keep this product out of reach of children. 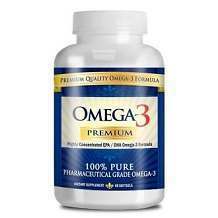 Dr. Sinatra Calamarine Omega-3 can be purchased in different quantities. For 1 bottle of 60 softgels, it costs $19.99. A pack of 4 bottles costs $14.99 each and a pack of 7 bottles costs $14.28 each. Each bottle is a 1-month supply. As you can see this product is affordable and gets even more affordable if you buy it in larger quantities. If you sign up for their auto delivery service, you can save an additional 20% on all the quantities. This product is backed by a 100% 90-day money-back guarantee. The manufacturer stands behind the quality of their product and formula and wants their customers to be 100% satisfied. If for any reason you are not satisfied with your purchase, you will need to return it within 90 days for a full refund of the purchase price. There are no other details provided about their return policy. It does seem like you can return used products but it is not guaranteed based on the information provided on the website. There are a couple of positive things about Dr. Sinatra Calamarine Omega-3. It can be purchased for a very affordable price, even if you don’t buy it in larger quantities. It is also backed by a 90-day guarantee. There were a couple of negatives as well. Even though, this product is backed by what seems to be a strong guarantee, there are some missing details that are necessary to know before being able to purchase this product, like if the product can be returned opened. There were also a bunch of customers that said this product had a bad taste and one customer said that they tried this product for several months and noticed no changes. We feel you can find a better product elsewhere.